The 430 Heat 30kW regular gas boiler is designed and manufactured by Baxi whose headquarters are located in The Netherlands. What type of boiler is this? This boiler is a heat only or regular gas boiler - sometimes called a traditional boiler. A typical regular boiler system incorporates a hot water cylinder which is often fed by a cold water storage cistern located in the loft and a feed and expansion cistern which is also located in the loft. How efficient is this boiler? This boiler is a highly efficient unit that has an efficiency rating of 89.1% making it B rated. What is the power output of this boiler? This unit has an output of 30kW making the unit perfect for those medium sized homes that don't have an excessive need for hot water. What about the dimensions, will it fit in my cupboard? This boiler is a compact unit with it being fitted in homes with minimal space and being able to fit in standard sized cupboards. This unit also features a low lift weight of 19.5kg which is said to be the lightest unit in the UK. Given the compactness and that it is so lightweight you have the potential to save time and money on installation. The Baxi 430 Heat does not require a pump overrun like other boilers of this size. It also doesn’t need a permanent live - so again, these benefits add further to the ease of installation. Yes, another feature of this boiler is the easy fit wall mounting bracket which is supplied at no additional cost. This is another way in which it helps for a quick installation. What about the position of the flue? This boiler has a wide choice of flue lengths that allow for different bends and 99% of all flue locations. 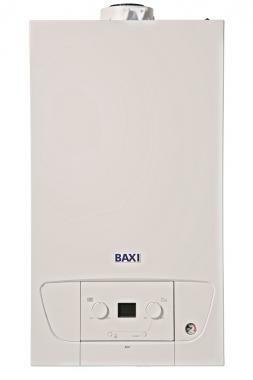 What kW output options are available for the Baxi 430 Heat? If the 30kW is overkill for your property size, then you may want to consider the 12kW, 15kW, 18kW, or 24kW making the unit suitable to most size homes. Does this boiler come with a warranty? Yes, this unit comes with Baxi’s standard five years warranty to give you peace of mind with your purchase.